Felixprinters has recently expanded its 3D printer portfolio with the new Pro 3 system, which comes loaded with automated and intelligent features to maximise productivity. Beyond rhetoric, the importance placed on intelligent 3D printing is at the heart of the Pro 3, with functionality that designed to remove many of the tedious hurdles that characterise some 3D printers. To this end, the Pro 3 incorporates automated motorised calibration; an innovative quick-swap print-head solution; extremely fast rotation of print-heads in the dual head configuration (less than 10 seconds); and a dedicated flexplate, supplied as standard to easily and quickly remove printed parts. 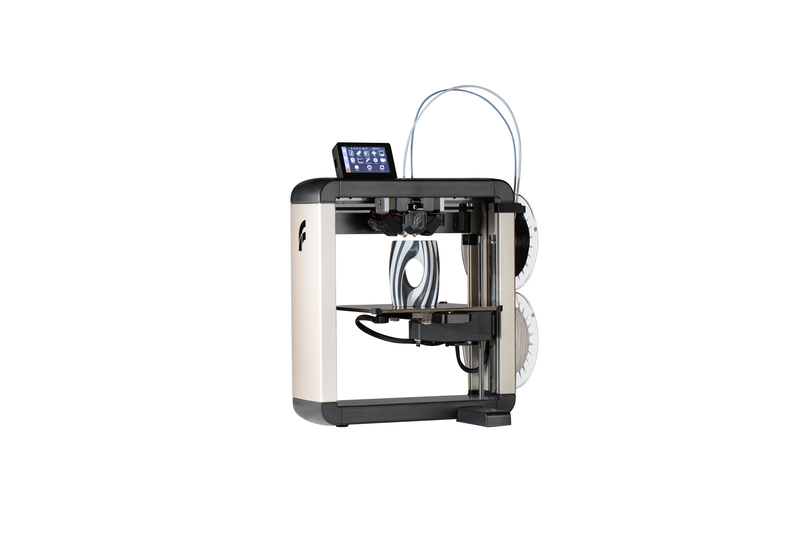 The Pro 3 also offers quick heat-up and cool-down of the print heads, meaning that the dual head print times are reduced by a factor of 2. Overall temperature control has been significantly improved together with optimal object cooling with dual high power blowers, which results in more consistent extrusion of filament and consequently more accurate print results. It also features a new touchscreen module, with integrated print-server. It is a small and powerful octacore computer, which makes the user’s life easier by providing a smooth and intuitive user interface, real-time remote webcam monitoring, multi-user control via a web interface, print file management, Wi-Fi and Ethernet connectivity, the ability to render g-codes, and the ability to create a time lapse of the print.